For this morning's interview, we thought we'd talk with Los Angeles-based Sidebar (www.sidebar.com), a venture backed startup in the mobile space, to learn more about what they are up to. We caught up with CEO Patrick Kennedy. What is Sidebar all about? Patrick Kennedy: Sidebar is a company that was founded to bring consumers personalized content, focused on mobile delivery of that content. The company was founded in 2007, and the initial emphasis was to deliver to end users a personalized content portal on their smart phone, learning what they like anticipate what they'd like to see, and pay for it using personalized advertising. We did a successful trial in 2008. I joined about a year ago--a bunch of us did--and looked at where Sidebar was as it was gearing up for a full consumer launch of its personalized content portal. We went out on the Android and Blackberry, and as we were going out to market, we realized that we could use that consumer launch as a proving ground for our technology, and leverage that to the B2B market. When I joined the company, I found an amazing technology platform and analytics capability. Eric Wilson, our CTO, is the man who has been here since the beginning and built all of this. He's gone through this a couple of times now, so we have a robust platform which can predict the content users will like, and do so in an elegant and efficient manner. So how does this fit into the mobile world and B2B? Patrick Kennedy: Our customers are very active using our technology and analytics as a solution to increase the content sales from all kinds of customers. Our basic value proposition to the mobile networks or content aggregators who pay for our solution, is we increase content flow through and revenue, by more effectively merchandising that content. By using our analytics platform, they learn about what consumers want. What we give to our customers, is for a mobile network selling ringtones, or an app store selling apps, or a game provider selling games, is something called smart menus, which gives each individual user a personal experience, and gives them content they are most likely to purchase. So carriers are a major customer of yours? Patrick Kennedy: We have customers of different kinds. Carriers are certainly a big class of customer, and we also have content aggregators, who are aggregating games, news and information, mobile applications, and web sites. We are even looking forward at cable and satellite TV, and providing programming guides to people. For a very low cost, we can personalize those to learn what channels you like, so you don't have to go through 900 channels or create a favorites list. We can help you organize video on demand and pay-per-view offerings. Why is that important for your customers? Patrick Kennedy: That's the really cool thing about this. For years, we've lived with the Internet Browser, a one-size fit all way to build a human interaction model. What the smart phone has taught us, is that a purpose built-app, with navigation of picks and clisk--rather than keyboards and search--can really get consumers to what they want faster. Purpose-build applications on phones are application specific, and are much, more natural. It's akin to the remote control on television. It's multiple choice, and even though occasionally you might type into a DVR and enter the name of a TV show, for the most part it's a much more elegant interaction model. What happened with smart phones, is consumers are buying more and more applications, but a screen can only fit a dozen icons. That's very different from Amazon, where you might have 300 results and have to page through to see thigns. What we find, especially in the mobile world, is you've only got one or two screens to get a consumer to make a purchase, before they abandon the visit. Our job is to help providers of those screens, the mobile networks and content aggregators, to provie in one or two screens what the consumers are looking for. In the picks and clicks model for purchase, finding content shifts from search towards personalized discovery. Patrick Kennedy: We've had fantastic funding from a venture capital firm called Mobile Media Ventures. Mobile Media Ventures is part of a larger investment company, which has the core of their investing in the energy market. They have hundreds of millions of dollars deployed against energy and digital and high tech investments. They were the folks who had initially funded our Series A round in 2007, and subsequently in our Series B round. We've raised a bunch of money, and are very secure, and our investors are extremely supportive and are great partners for us. What's the experience of your management team? 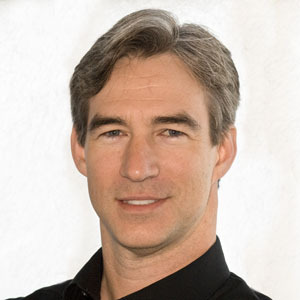 Patrick Kennedy: Eric Wilson is our CTO, and founding technologist. Keiran Hannon is our COO, and he has a great background in advertising and marketing, and in fact even physical merchandising at Radio Shack and Sprint. Myself, I come from Sony Pictures, and had worked with Sony extensively with consumer electronics and digital content. We've got other folks, including Jason Rosenthal and Bruno Shirch, who come from the comined worlds of entertainment, content, mobile, and merchandising. I think we've truly got some of the best analytic minds around. It's truly a multi-disciplinary team leveraged across different skill sets. Patrick Kennedy: We've deployed our solution. We've talked about Indiagames, where we've deployed our smart menu system with their game portal, to increase the sale of games in India. We're also doing something really big in South America, and there will be a whole slew of other deals you'll be hearing about in the next quarter. Right now, we're all about getting our message out there, and establishing who we are and what our expertise is. We're really about smart menus for content presentation, and as we move into other service, we're talking about location based content recommendations as well. We're really headed for three screens. We've got lots of entertainment background, and we see an opportunity for companies, particularly in telecom, where they have both mobile and cable TV customers, to learn more about their customer, and see a holistic customer interaction across both their connected TV, mobile, and Internet browser--and our system can do that for them.